Simple Minds Event homeCustomer reviews Willie NelsonSammy HagarOld DominionApocalypticaThe Rat Pack Is BackJojo SiwaGary Clark Jr.
Kerr performs with the innate confidence of a frontman who knows he has a flotilla of showstoppers in reserve. An unmissable evening with Simple Minds covering new material and all their best hits! No, we didn't forget about you! 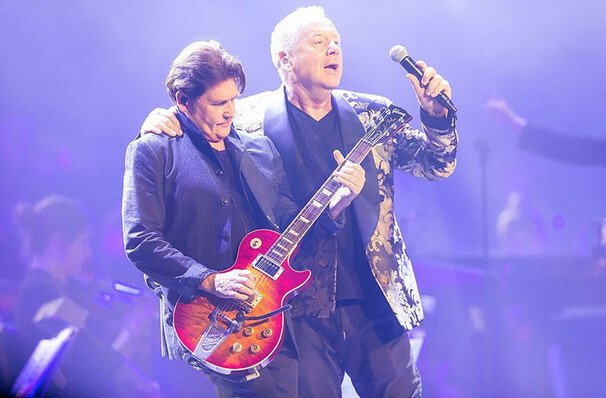 Dust off your day-glow 'cause Simple Minds, one of THE icons of 80s neo-rock, are Alive and Kicking, and back on tour! 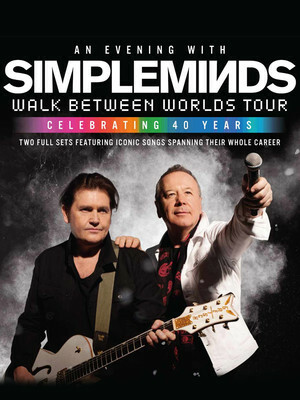 With a revised line-up including two of the original members (Kerr and Burchill), Simple Minds are taking on an ambitious global tour in 2018 that sees them travel Europe and America promoting their brand new album, Walk Between Worlds. Don't panic - that doesn't mean you're in for a night of new songs you don't know. Oh no sir! Simple Minds have a major treat up their sleeves for their fans, with not one but TWO sets planned for the North American dates showcasing all the hits from the impressive catalogue as well as some of their new material too! Sound good to you? Share this page on social media and let your friends know about Simple Minds at Grand Sierra Theatre. Please note: The term Grand Sierra Theatre and/or Simple Minds as well as all associated graphics, logos, and/or other trademarks, tradenames or copyrights are the property of the Grand Sierra Theatre and/or Simple Minds and are used herein for factual descriptive purposes only. We are in no way associated with or authorized by the Grand Sierra Theatre and/or Simple Minds and neither that entity nor any of its affiliates have licensed or endorsed us to sell tickets, goods and or services in conjunction with their events. Reno Theater is part of the Theatreland Ltd Collection. Established in 2003, Theatreland offers the largest individual collection of websites providing complete, impartial guides to all the theatrical, musical and performance arts events and venues in the world's greatest theatre cities, from New York's Broadway to London's West End and from the showrooms of Las Vegas to Shakespeare's Globe Theatre.